Google Wave is a high bandwidth (read: good internet connection) intensive application that lets you collaborate things with with your peers and partners online. So having a client will always save you a lot of useful bandwidth. WaveBoard aims at doing the same. It is a client software for Google Wave for both Mac OS X 10.5+ and iPhone OS 3.0+. 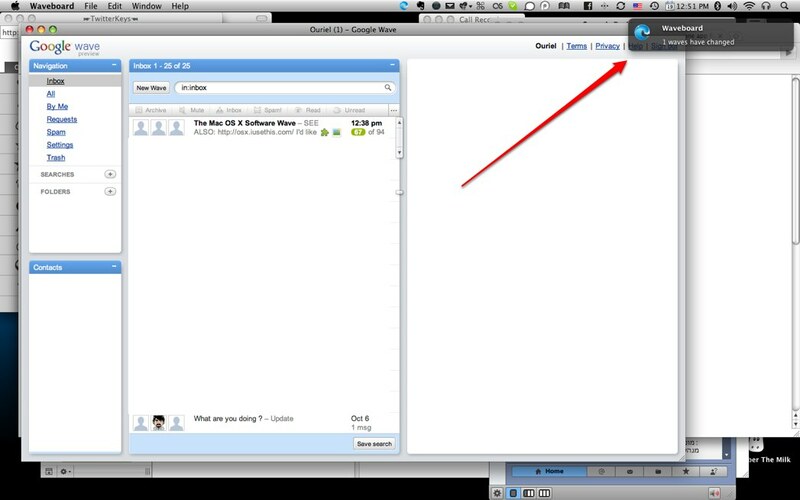 Waveboard has various amazing features which are not even supported by the browsers which you use to access Google Wave. Some of these features are Mac native keyboard shortcut support, ability to print single waves, directly Open on “wave:<ID>”, copy Wave ID, get the system menu status, growl and bagde notifications, remember previously open waves and Drag and Drop support. The application is still in review by Apple according to the website. The app can be download for both Mac OS X and iPhone from here. You can follow them on twitter for latest updates. You might like to check this screenshot of waveboard running on a Mac.